Kuala Lumpur has long been known as a bustling cosmopolitan conurbation that offers the best of east and west. A diverse playing field to some two million people who live and work here, it is more often than not easy to get caught up in the business of things, that there seems to be little time (or place) for some tranquil respite amidst the flurry of city life. Banyan Tree Kuala Lumpur recently opened its doors, right in the heart of Kuala Lumpur with its signature brand offering – rest and relaxation to the world-weary! 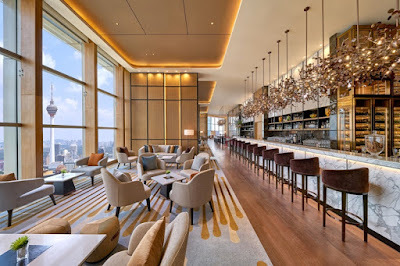 And this is certainly what Banyan Tree has infused in Kuala Lumpur’s newest lounge, Altitude, located on the 53rd floor of Banyan Tree Kuala Lumpur. It offers a quick escapade from the hustle and bustle of city life without having the need to leave the city! Riding up the elevator and walking into the tastefully appointed lounge, one cannot help but feel transported into another world of charm and allure exuded by Altitude with its high ceiling and beguilingly spaced out interior. However, what will truly take your heart away here is the breath-taking view of Kuala Lumpur’s skyscape overlooking the KL Tower and the Petronas Twin Towers, offering a calming retreat which almost belies the hive of activity going on 53 floors down! 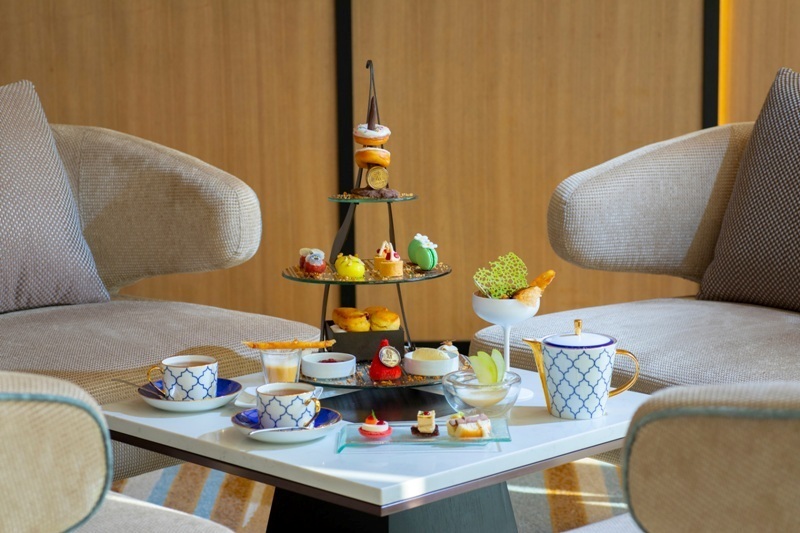 Whether it is for business or leisure, one can choose from enjoying a cup of morning coffee, tolight lunches or afternoon tea. As the sun goes down and the lights on the surrounding skyscape turns into a picture-perfect backdrop, guests can also enjoy a wide selection of more than 120 labels of wines and craft beers handpicked by none other than Altitude’s very own Certified Sommelier, paired with a casual menu. If you fancy for something different off the menu,call in to pre-book a4-course dinner (minimum for two persons), which will be paired with specific selection of wines just for you and your guests. With all it has to offer, Altitude at Banyan Tree truly lives up to Banyan Tree’s reputation for being a sanctuary for all. Now that’s certainly an Altitude with aptitude!